All India Anna Dravida Munnetra Kazagham (AIADMK) leader T.T.V. Dinakaran on Tuesday appeared before the Metropolitan Magistrate Court here in the Foreign Exchange Regulation Act (FERA) case. 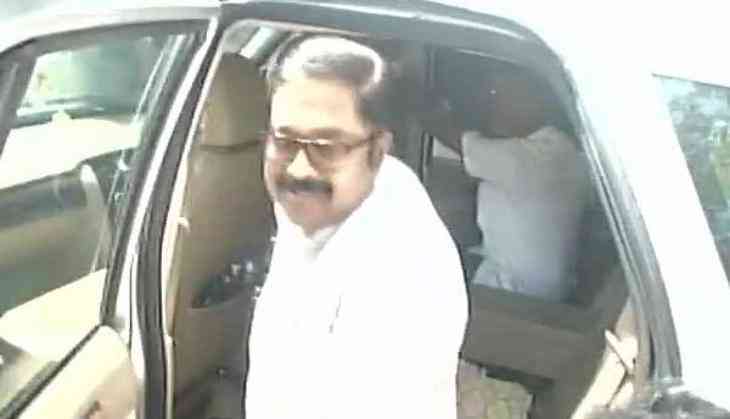 On July 21, the Supreme Court dismissed the plea filed by Dinakaran seeking relief and challenging the Madras High Court order against him in the same case. In its previous hearing, providing temporary relief to Dinakaran, the Madras High Court issued stay orders to the Chennai Metropolitan Magistrate court on the case against him. However, Justice M.S. Ramesh has directed the Enforcement Directorate (ED) to file a counter in two weeks. Dinakaran had filed a petition in the high court three months back to relieve him from the FERA violation case. Dinakaran is facing two cases filed by the Enforcement Directorate (ED) against him for alleged violations of FERA. The court had framed charges against him for illegally routing U.S. dollars in foreign exchange without taking permission from the Reserve Bank of India (RBI) and for depositing in the current account of Dipper Investments Ltd., a company incorporated in the British Virgin Islands, with Barclays Bank, Sutton, United Kingdom. The second case pertains to the transfer of 44.37 lakh pounds through West Bank Ltd, Ireland, allegedly breaching FERA provisions.